Hundreds of Lutheran pastors and laypeople from around North America gathered August 10-12 at Upper Arlington Lutheran Church, outside of Columbus, Ohio, for three interconnected meetings. The annual convocation of Lutheran CORE (Coalition for Reform) was held first, followed by the CORE Theological Conference, and finally the annual convocation of the recently-formed North American Lutheran Church (NALC). Motivated primarily by dismay over recent actions of the Evangelical Lutheran Church in America (ELCA), these pastors and laypeople were seeking to find new directions and new organizations in which they could develop their ministries. Lutheran CORE is an organization with a goal to unite pastors and laypeople (both within the ELCA and outside it) who disagree with the ELCA’s general direction. Its annual convocation and theological conference sought to continue this mission. “These meetings were a huge step toward fulfilling our mission statement, mobilizing Lutherans for spiritual renewal,” said Mark Chavez, executive director of CORE. This was continued in the second meeting, the CORE Theological Conference, where more than 600 attendees heard lectures on the topic “Salvation Today,” addressing questions surrounding the role of the Christian gospel in the world today. Addressing the conference were Lutheran theologians Dr. Gerald MacDermott; General Secretary Dr. Berhanu Ofga’a of the Ethiopian Evangelical Church Mekane Jesus; Dr. Robert Benne; and Dr. Sarah Hinlicky Wilson. A panel consisting of Bishop Ray Sutton (Anglican), Dr. Joseph Small (Presbyterian), and Dr. Jim Nestingen (Lutheran) addressed similar issues. The general tone of the conference stressed the need to maintain a traditional and distinctive Lutheran theological witness to the world, but one that sought to be engaged with other Christians, as well as non-Christians, on the basis of that Lutheran theological witness. The final meeting of the week was the annual convocation of NALC, seeking to determine the direction of this new Lutheran church body. Initially formed in August 2010, the NALC has grown to currently number some 250 congregations and 100,000 members. In its convocation, some 300 delegates saw the NALC elect a new bishop, the Rev. 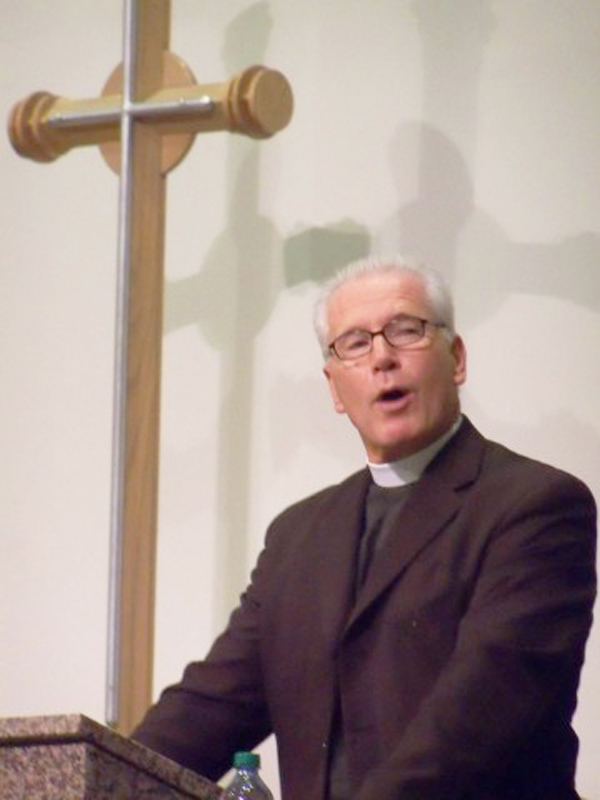 John Bradosky of Hilliard, Ohio (currently the General Secretary of the NALC), to replace retiring Bishop Paull Spring, of State College, Pennsylvania. The convocation also elected new officers for its executive committee, approved a permanent constitution (pending congregational ratification), adopted full communion agreements with Lutheran church bodies in Ethiopia and Uganda, and an operating budget for the coming year. Other actions included commissioning missionaries to Ethiopia and Ecuador, and generally seeking to solidify and direct the ministries of this new Lutheran church body. Initially formed in August 2010, the NALC has grown to currently number some 250 congregations and 100,000 members. Elected to the executive committee were Carol Lattier, Bullard, Texas; Ryan Schwartz, Washington, D.C.; Kay Weaver, Vale, North Carolina; the Rev. 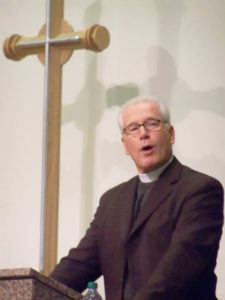 Victor Langford, Seattle; the Rev. Amanda Grimmer, Hatboro, Pennsylvania; the Rev. Rebecca Heber, Heathrow, Florida; and the Rev. James Lehmann, Fithian, Illinois. 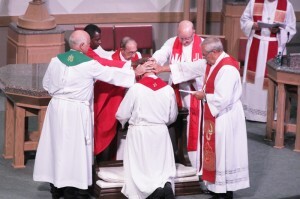 Newly elected Bishop Bradosky commented that he was “honored and privileged to be able to serve this new Church,” and that it was a wonderful week, with its theological emphasis on the uniqueness and universality of the gospel. Bradosky further stated that the main mission of the NALC would be to equip and enable its congregations, “on the frontline of our ministry,” to grow and carry this gospel to the whole world.